Your favorite furls hooks are now in purple! 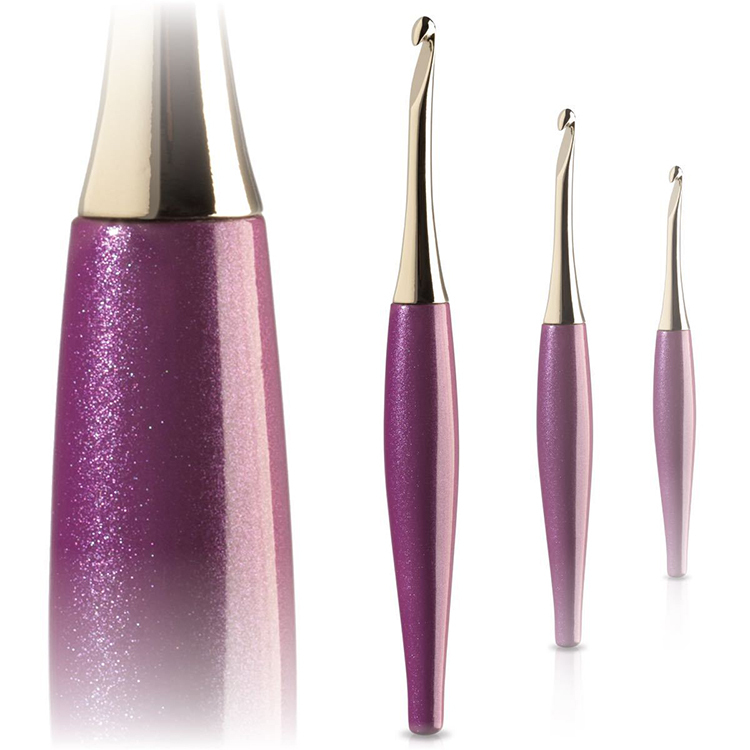 The number one best selling Furls hook, the Odyssey, is now available in a stunning sparkly purple. You can expect the same forward-driven crochet momentum for easier movement, electroplated tips for faster stitches, and signature teardrop body shape for hours of comfort and relief. Are the new Purple Odyssey Furls hook the same weight as the black ones? I found the black ones too heavy and returned them. They are indeed – in this case I would recommend you try the Furls Streamlines – they have the same shape, but are amazingly lightweight! Thanks for your reply. I’ll be ordering the Streamlines real soon.